Okay, I thought it was time for a quick update on what I’m up to. Well, the zombie novel that I’m writing, tentatively titled ‘Deadfall’ has entered the home straight. The first draft should be finished within the next couple of weeks. Then I’ll lay it to rest, probably until after Christmas before bringing it back to life to do the revisions. I’ve had a blast writing this one. As for my other unsold novels, The Kult and Fangtooth, my agent is shopping them around. There’ve been a few nibbles, but I know she’ll get them to bite eventually. I guess the publishers are just wondering how they’ll be able to keep up with demand if they take them on:-) Anyone interested in reading the first chapters of either novel can visit my website www.shaunjeffrey.com and click on the stories link. In the spirit of Halloween, and to celebrate, I've posted a micro-length short story below for the 99 words of horror contest. Father Doherty stood beside the door, his ear pressed to the cold wood. Grunts, groans and the odd scream emanated from the room beyond and he nodded approvingly. The doubts he harboured at the young priests ability to conduct the ritual seemed unfounded, and he opened the door to watch him in action, only to roll his eyes in dismay at the sight of the woman sweating on the treadmill. Anyone interested in purchasing a limited edition Halloween t-shirt designed by Alex McVey should check this out: Click me!!! There are only going to be 200 of these bad boys printed. Horror Fest UK is a new film festival that is taking place from November 16th - 18th in Portsmouth, England. The official site for Horror Day, along with suggestions for action, can be found at Horrorday. I've had a group of my short stories accepted for a collection, which will be published by the newly combined force of Wicked Karnival and Grafika Press. The collection will be titled Voyeurs of Death and will include 11 of my tales. I'm very excited about this, and can't wait to see the finished product. Check out the artwork on the Grafika website. You won't be disappointed. First to be published by the company will be an anthology of short stories by horror author David A. Riley. Other authors with work accepted so far for various projects are: Dan Waters, Jason Brannon and Christopher Fulbright. I would just like to give a shout out to two free fiction venues. The first is Devil's Work, where if you sign up, you get a free story emailed to you every Friday. And the second is Shadowed Realms, which offers dark online flash fiction. Both are worth checking out, and as it's free admission, you have nothing to lose. Well one year ago this month, I started writing Fangtooth. What with one thing and another, it took longer than anticipated, but I’m very pleased to report that I’ve just finished the first draft. Woohoo. It always gives me a great feeling of accomplishment to finish a novel. Now even though I’m eager to start rewriting, I’ll put it a way for a month to let the story settle. In the meantime, I’m going to rewrite an earlier novel, tentatively titled, Sacrifice. 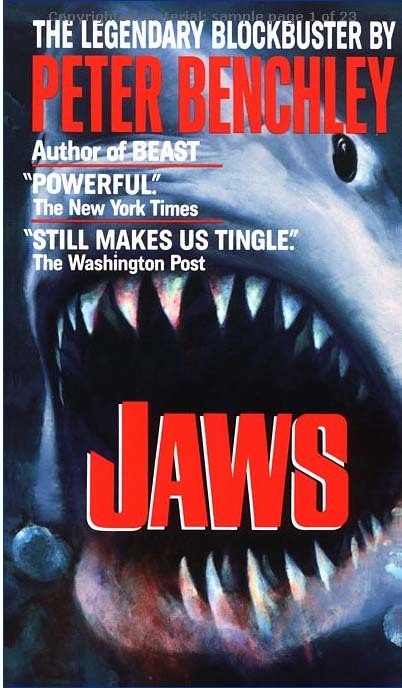 In an attempt to 'save' his son from the lifestyle he can see him drifting into in the city, recently widowed father, Bruce Holden and his wayward teenage son, Jack move to the coast. They soon discover that the house they have bought has stood empty for years as the previous occupants mysteriously disappeared. But that's only the start of their problems. Something's stirring in the sea. Something hungry. I’ve got everything crossed that this novel will find a home. I was sad to hear that Al Lewis, who starred as Grandpa in the 1960s sitcom, The Munsters, has died. Sporting a somewhat cheesy Dracula outfit, he became a pop culture icon playing the temperamental father-in-law to Fred Gwynne's ever-bumbling Herman Munster on the 1964-66 television show. He was also one of the stars of another classic TV comedy, playing Officer Leo Schnauzer on Car 54, Where Are You? 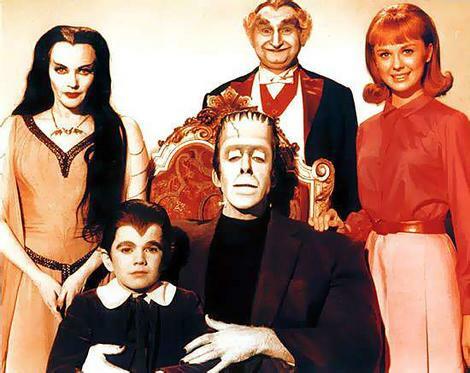 The Munsters was one of the two "creepy" sitcoms that began in 1964. CBS aired The Munsters and ABC aired The Addams Family. Both of them lasted only two years and finished their network run within a week of each other. Although people often call him Grandpa Munster, Grandpa was Lily's father, and their family name was "Dracula". The first episode of The Munsters aired in September, 1964, 10 months before I was born, but its appeal meant that it continues to be shown to this day. I always used to enjoy watching the Munsters, and although it only lasted a couple of years, it racked up an impressive 70 episodes. Long may it continue to be aired.